This training is offered in two different formats, instructor-led classroom or online training over the Internet. The purpose of this training and certification is to set a standard for those working in the personal computer industry as technicians, help desk, and support staff. The applicants need to have the knowledge of personal computers, and the Windows environment. Many computer resellers and service companies today are required by hardware vendors to have A+ Certified personnel on staff. This ensures that these businesses are capable of providing high top quality, authorized service for their clients. Because of this requirement and because of the high standard set for attaining A+ Certification, employers often require that their personnel become A+ Certified. A+ Certification has become one of the most sought-to-after certifications in the computer industry. Computer Institute is an Authorized Training Alliance for CompTIA. Why should you become a Certified Computer Technician? Recognized proof of professional achievement -A level of competence commonly accepted and valued by the industry. Enhanced job opportunities -Many employers give preference in hiring applicants with certification. They view this as proof that a new hire knows the procedures and technologies required. Opportunity for advancement -The certification can be a plus when an employer awards job advancements and promotions. Training requirement -Certification may be required as a prerequisite to attending a vendor's training course, so employers will offer advanced training to those employees who are already certified. Customer confidence -As the general public learns about certification, customers will require that The industry also gains benefits from the wide-spread acceptance of certification credentials. Lower training costs -Employers can save money and increase productive work-time when vendors eliminate redundant, time-consuming training, and instead require certification as a prerequisite. Customer satisfaction -When employers have a credential that proves their competency, customer exceptions are more likely met. What are the Prerequisites for A+ Certification? The applicants need to have the knowledge of personal computers, and Windows environment as a user. We offer free assessment to prepare you for this program. A+ Exam Requirements: A candidate must pass 2 tests. The first test is (220-901, A+ Essentials). Successful candidates will have the knowledge required to understand the fundamentals of computer technology, networking, and security, and will have the skills required to identify hardware, peripheral, networking, and security components. Successful candidates will understand the basic functionality of the operating system and basic troubleshooting methodology, practice proper safety procedures, and will effectively interact with customers and peers. There are 90 questions for test 220-901 and the applicant has 90 minutes for taking the exam. Exam format is Linear format; computer-based test (CBT). Exam passing score is 675 on a scale of 900. The CompTIA A+ 220-902 exam, Practical Application, is the second exam required in order for CompTIA A+ certification candidates to complete their certification. The CompTIA A+ Practical Application exam measures the necessary competencies for an entry-level IT professional who has hands-on experience in the lab or the field. Successful candidates will have the skills required to install, configure, upgrade, and maintain PC workstations, the Windows OS and SOHO (Small Office/Home Office) networks. The successful candidate will utilize troubleshooting techniques and tools to effectively and efficiently resolve PC, OS, and network connectivity issues and implement security practices. Job titles in some organizations which are descriptive of the role of this individual may be: Enterprise technician, IT administrator, field service technician, PC or Support technician, etc. 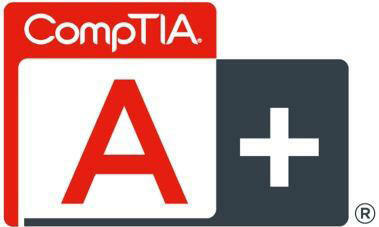 Ideally, the CompTIA A+ Practical Application candidate has already passed the CompTIA A+ Essentials examination. There are 90 questions for test 220-902 and the applicant has 90 minutes for taking the exam. Exam format is Computer-Based Test (CBT). Exam passing score is 700 on a scale of 900. You are able to take your tests at Computer Institute.